The first digital Issue of Wingleader Magazine is now out! As many of you may know, for the past 12 months I've been working on a new magazine project which is now finally underway. Wingleader Magazine is a FREE monthly digital download magazine which will also be printed as a quarterly compendium for those of you (like me) who prefer reading paper than a screen. However, don't be put off by the digital side, as we have designed this magazine specifically for the digital format. Each individual page will fill your screen, so no zooming in to read the text, and the larger font size ensures that you can read each page even on the smallest of devices. We are also heavily imaged based which means that we can reproduce images up to 30cm across using the A4 format, instead of the usual 21cm width for a standard portrait format magazine. The digital magazine is totally free and all we ask in return is that you share the link with as many people as possible so that our circulation figures can attract advertisers. 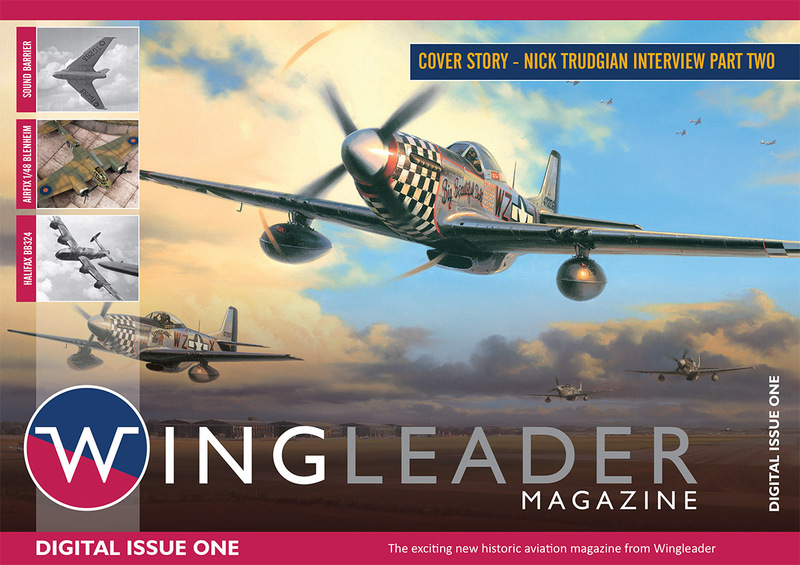 Already we are past the circulation figures of many printed magazines and with your help we'll get to the point where advertising in Wingleader Magazine will be the obvious thing to do. This advertising revenue will safeguard the long term future of the magazine and we'd really appreciate your help in achieving it! PS. I'm still painting, look out for a Stirling coming soon!